Original Scottish painting & prints of Aberdeen Beach & Harbour. 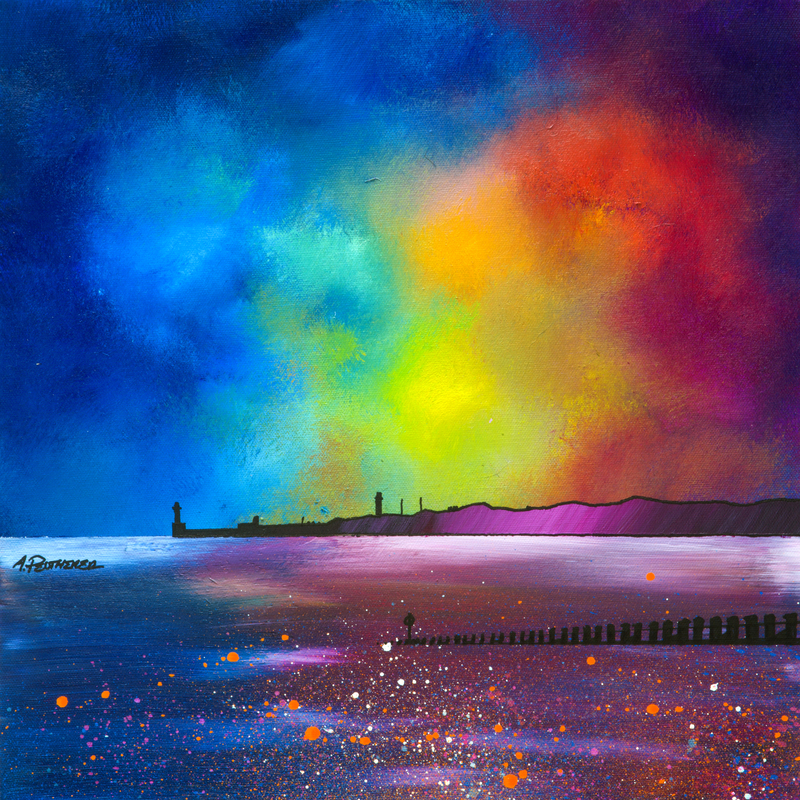 An original painting and prints of Aberdeen beach and harbor at sunrise in the winter. 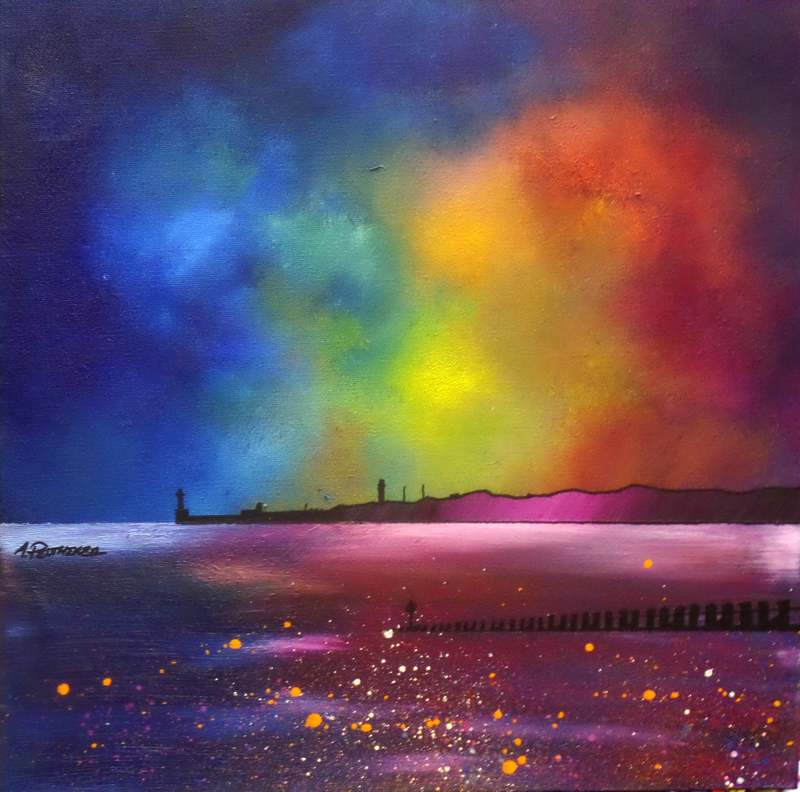 A dramatic mix of mediums are blended layered and splattered over the canvas to produce a very atmospheric painting depicting the ever changing wild weather that constantly sweeps across Scotland’s East coast from The North Sea.